SuperCasino Review 2019 - Get a 100% FREE £400 Bonus! Visit Supercasino Get Your Bonus! Fully licensed and regulated. Licensed by the Alderney Gambling Commission Supercasino promotes responsible gambling and the software is licensed by the Alderney Gambling Commission. Safe & secure banking methods ? All legitimate, real-money poker sites like Supercasino have strict anti-fraud screens, and that may create a short withdrawal delay. Supercasino are offering a great welcome bonus. They'll match your first three deposits at 100% allowing you to earn up to £200 in bonus cash. ? The bonus applies to your first deposit only. Please read the terms and conditions carefully and make sure to take full advantage of the bonus offer. If you're a keen UK online casino player, and especially if your favourite game is roulette, SuperCasino is a super choice for you! Most likely, if you're a UK resident, the name SuperCasino doesn't even need an introduction because it is the world's longest running and most popular online casino that can also be accessed on TV. Every night, in fact, you can tune in to Channel 5, or every afternoon to Sky Channel 862, and turn your living room into a virtual casino. The name SuperCasino is somewhat of a misnomer because, compared to some other online casinos, it is certainly not supersize. 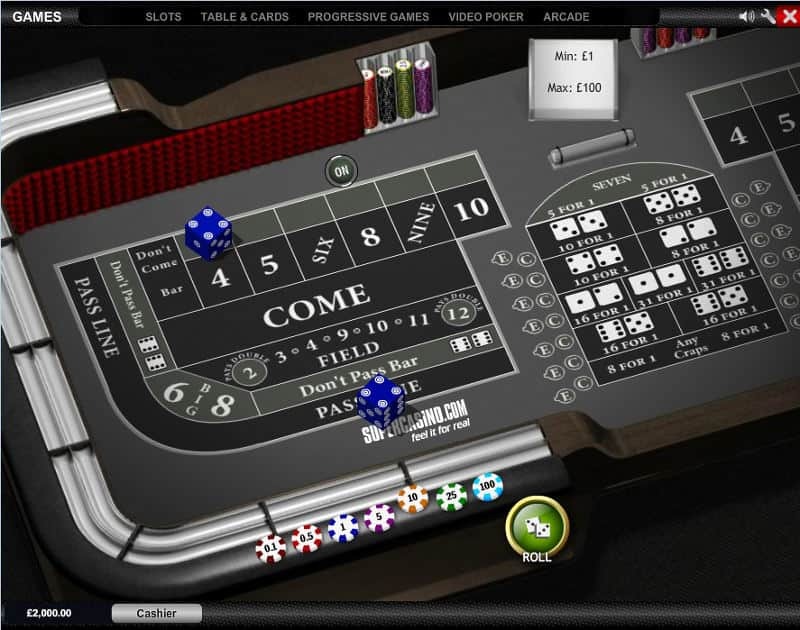 You won't find anywhere near the number of games that some of the mega online casinos have to offer. But you really don't need 500 games to find something to play that suits you. At SuperCasino you have more 250 to choose from, including more than 100 slot games. 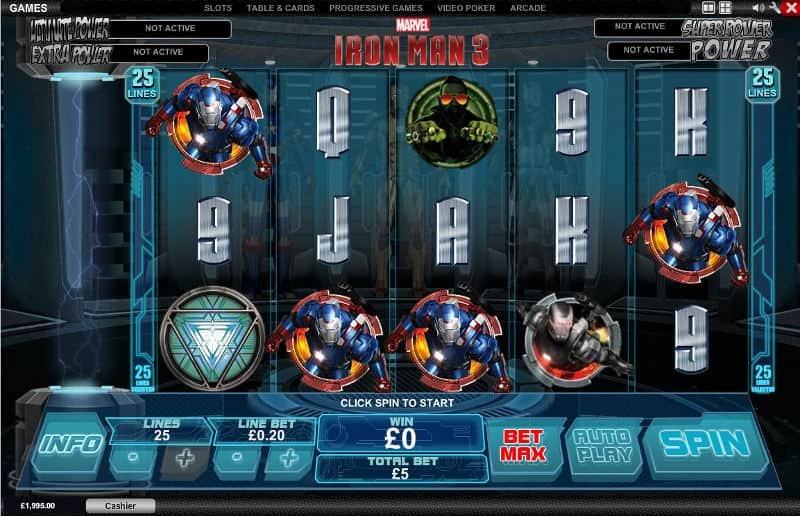 Your slot choices include classic 3-reel slots, action-packed 5-reel video slots like Iron Man 2 and 3 and Fantastic Four, Marvel Slots featuring favourite movie and comic book characters, and progressive jackpot slots. SuperCasino also offers various other popular casino games like video poker, blackjack, baccarat, and craps. However, SuperCasino makes no secret of the fact that roulette is its forte. At most online casinos, the Welcome Bonus offered to new players heavily favors slot players. Some bonuses don't even allow playing anything other than slots (and parlor games) to meet the wagering requirements for withdrawal; most aren't that restrictive on paper, but don't let the other games count for more than a small fraction of the 100% that slot play commands. So, in practice, the bonus is of little use except for slots. Occasionally, a casino will let American Roulette (the least favourite version with a double zero and 5.26% house edge) count 100%, but otherwise roulette typically counts for 25% or less. 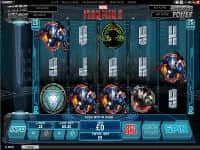 This reviewer has studied the bonus playthrough requirements at dozens of casinos and SuperCasino is the first to allow European Roulette with just a single zero and a 2.7% house edge (less than many slot games) as an alternative to slots counting 100%. This is great news for roulette lovers. You don't have to rely exclusively on slots to satisfy the casino's bonus related wagering requirements. You can play your favourite game, roulette, to your heart's content. Also, with all the different varieties of the game this casino offers, plus the live TV action, whatever the outcome, you are guaranteed to have a great time. As if placing your bets and watching the wheel spin isn't already exciting, imagine the thrill of making use of the site's online streaming to play along to a presenter-led live TV show. You even get to hear some fascinating and possibly helpful commentary thrown in for good measure. If you are new to online gambling or haven't played in a while, you can take advantage of the play for free option to test the waters. The casino also provides a few free casino game strategy guides which you might find helpful. 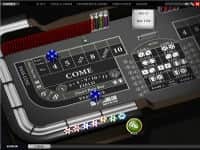 Virtually all reputable online casinos offer new customers a Welcome Bonus, and some of them, with all their intricacies and stipulations, get to be very complicated. The SuperCasino Welcome Bonus couldn't be simpler-100% match of your first deposit up to 200 GBP. While it is not the biggest Welcome Bonus around by any means, when you do come across an offer of an enormous bonus from an online casino, there are usually enormous wagering requirements to go along with it. In addition, if your play warrants it, you receive an invitation to the 5 tiered VIP club. The 5 levels are Red, Bronze, Silver, Gold, and Platinum. As you move up in level, your loyalty point conversion rate becomes faster. Some of the other benefits of VIP membership include extra bonuses and cashback, exclusive gifts, free play on one's birthday, and invitations to private roulette tournaments. Each month the casino offers special promotions to Cardschat.com players. Since the offers keep changing, you will need to keep checking the website or your emails in order not to miss out. Games:Slots, Video Poker, Blackjack, Roulette, Baccarat, Craps, Casino War, Casino Hold'em, Sic Bo, and more! Join Supercasino and earn up to £200!